David Sulzer is a neuroscientist and Professor at Columbia University in the Departments of Psychiatry, Pharmacology and Neurology. 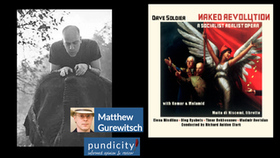 Under the name Dave Soldier, he is a classical, pop, jazz musician and composer, appearing on over 100 CDs and film scores. Among his work that combines both identities are the Thai Elephant Orchestra which is a 14 piece orchestra of elephants in Thailand; the cult Delta punk band - the Kropotkins, the Brainwave Music Project with Brad Garton that allows musicians to perform using their brain's electrical activity; a series of pieces that use mathematics or statistics to create new repertoire including the notorious "The People's Choice: The Most Unwanted Music"; and multiple projects coaching children to compose their own music in Harlem, Brooklyn, and Guatemala. Soldier has performed as violinist, guitarist, and composer/ arranger with Bo Diddley, John Cale, Kurt Vonnegut, and many others, appearing on nearly 20 CD's featuring his compositions for classical and jazz musicians. With chemist Roald Hoffmann, he runs a monthly science meets art series, Entertaining Science, at the Cornelia Street Cafe in Greenwich Village. 6 Why Do the Dark Woods Weigh on My Soul? 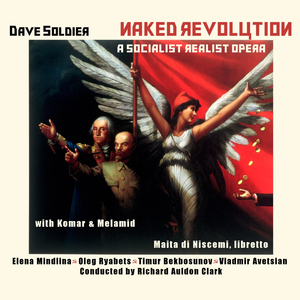 Released for the one hundredth anniversary of the Soviet Revolution's toppling of the statue of Czar Alexander II at the Kremlin, this is the premiere recording of the socialist realist opera Naked Revolution by composer Dave Soldier with the Russian migr satirical artists Komar & Melamid.